يقع Discovery Parks - Cradle Mountain Accommodation في منطقة مشهورة للغاية في المدينة. هذا الفندق هو من الخيارات الشائع بين المسافرين. يمكن من هنا للضيوف الاستمتاع بسهولة الوصول إلى كل ما تقدمه هذه المدينة النابضة بالحياة. يوجد العديد من المعالم السياحية الأكثر جذبًا للسياح في هذه المنطقة. إن الخدمات التي يقدمها Discovery Parks - Cradle Mountain Accommodation تضمن للنزلاء إقامة مريحة. يمكن لضيوف الفندق الاستمتاع بالميزات التالية على أرض الفندق: تسجيل وصول/خروج سريع, تخزين الأمتعة, صف السيارات, غرفة عائلية, مرافق للشواء. ادخل إلى واحدة من الغرف 10 وتخلص من عناء نهار طويل بمساعدة مجموعة كبيرة من الخدمات كمثل تلفزيون بشاشة مسطحة, مناشف, كاشف دخان, حوض الاسترخاء, غرف لغير المدخنين الموجودة في بعض الغرف. كما أن مجموعة الخدمات الواسعة الموجودة في الفندق لضمان راحتك تترك لك الكثير من الخيارات لقضاء وقتك أثناء فترة إقامتك. إن Discovery Parks - Cradle Mountain Accommodation هو مكان مثالي للمسافرين الذين يتطلعون إلى الراحة والاستجمام في المدينة. Nice place to stay to explore Cradle Mountain National Park as it's very close to the visitor center and shuttle bus stop. Great location, clean bathrooms, and late check in was possible. The fireplace in the kitchen was amazing! 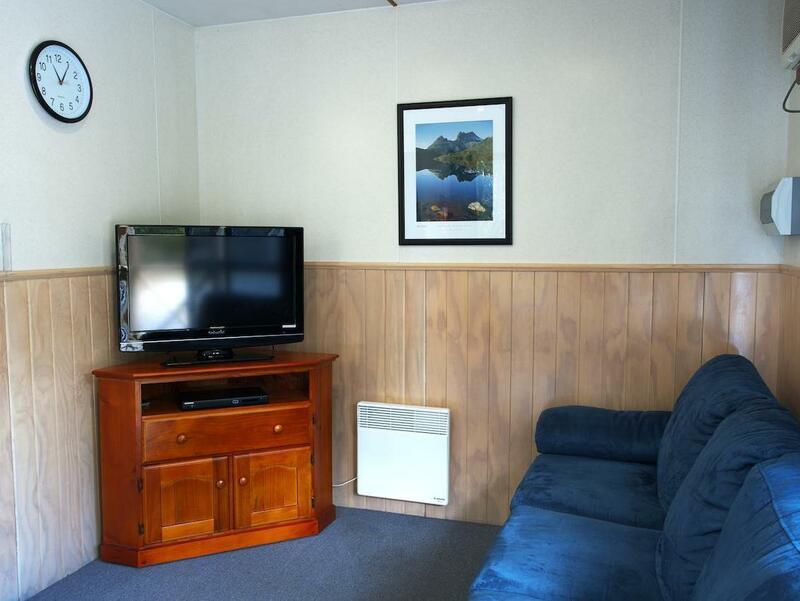 Situated across the road from the main visitor centre for Cradle Mountain, this is a well located budget option for families, people travelling with friends and people who are happy with just some clean, warm accommodation at the end of a hiking day. Stayed in a family dorm cabin which had a double bed and bunk bed, with shared bathroom and kitchen. Room was toasty warm when I arrived which was very welcome from the outside cold. Internet is only around the reception building, but still got phone reception in my room. There's other places nearby that would be nicer, but this was adequate for my needs. 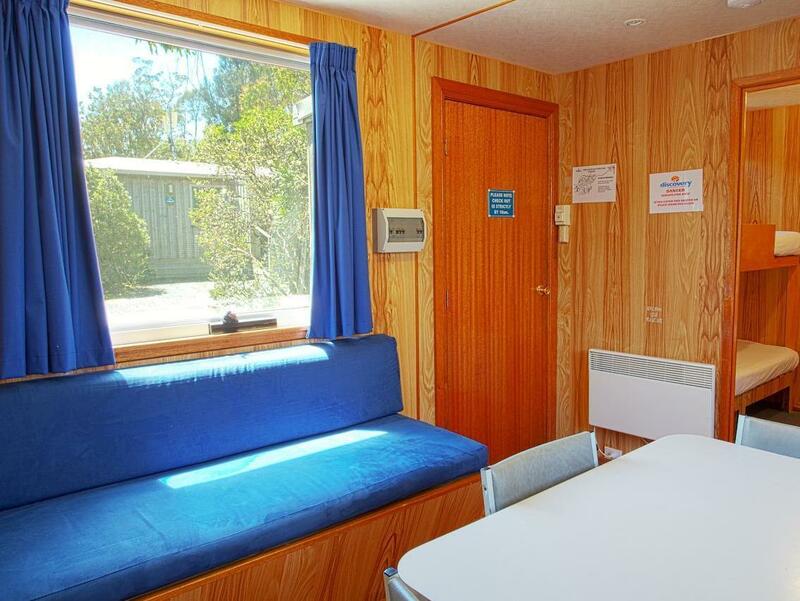 This is probably the cheapest accommodation you can find near Cradle Mountain NP. It's located just outside of the national park, which means you don't need to pay national park fees whilst you stay here. The information centre is only a couple hundred metres away. I enjoyed staying here because it felt like being in a lodge in the forest. In the morning there were wallabies about just outside my door. There's heating in the rooms, a well equipped kitchen, and good shower facilities. The cabin appeared a lot smaller than expected which was very disappointing. The heater wasnt powerful enough to warm the room. My cabin was quite bad because the oven wasnt working and the bedroom sliding door was spoiled. However the location is the best. Located just across the road to the visitor centre where you can take the shuttle bus to dove lake. The accommodation reception is well equipped with food, drinks and wine if you are short on supplies. The staff was very friendly as well. Clean shared kitchen and toilet blocks. Kitchen had everything needed. Beautiful homely lodge. Great stay here! We got rooms close to the shared kitchen and bathrooms. We're here mid November, so it's not busy. We even can drive to Dove Lake and park there. Staffs are friendly and they make sure the bathrooms and kitchen are clean. We enjoyed the stay! It's a good experience to spend a few nights in Cradle Mountain, we saw Aurora lights! The resorts park provided different kinds of accommodations and I was in the dormitory. Kitchen was spacious and very useful. Hot water, shower.. nothing to complain. Wifi at the reception only but that's enough. Groceries weren't very expensive. Eg: Postcards A$1 Devondale 1L milk A$ 3.3 Eggs 6EA A$ 4.8 Shin Ramyeon Noodle A$ 3. Good choice to stay if you are coming to Cradle mt. Very suitable for family and have all you need for a short stay. It will be no phone/internet signal all around the mountain. So be prepared for disconnecting from social media. The heater is not warm enough in winter and water temperature is not consistent but acceptable. The staff is friendly and very informative. It will be good to cook rather than eat out since all shops will close by 5pm. 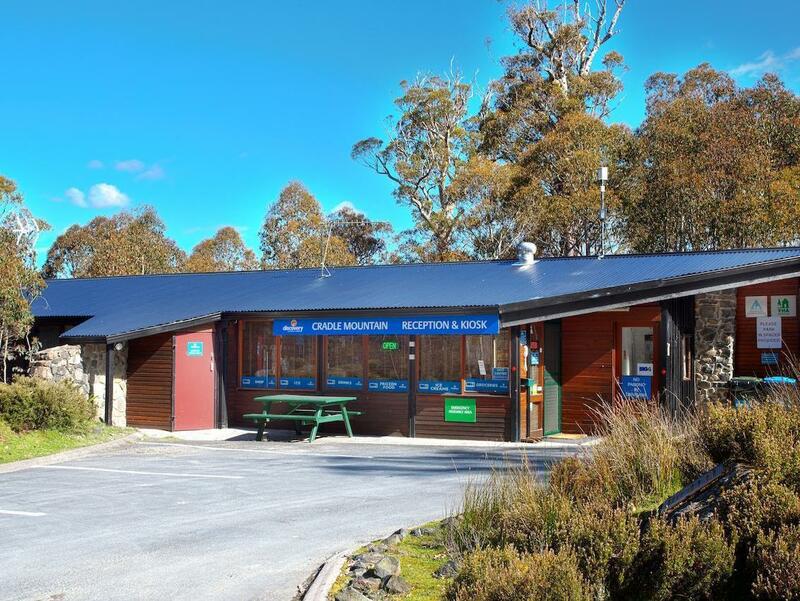 Close to attractions - visitor centre for park purchase and vehicle parking is just opposite where u can park and queue for shuttle to Cradle Mountain national park. Room is equipped with basic facilities, however the economy room that we stayed (room 6) the heater is not functional and it gets very cold to sleep at night. The cabin is located near the visitor centre of Cradle Mountain. It was an interesting experience to stay in a cabin in the middle of mountain like this. The cabin is well-equipped and cozy. The water from the tap is untreated water. May need to bring bottle water if minded. All in all, the cabin is valued for its money. Well equipped kitchen, of course you have to bring your own source/oil if needed. I have a great moment in the mountain, travel to cradle mountain twice times by stayed a night there, cook easy canned food and veggie, wonderful experience in mountain. Very comfortable indeed. Toilet / shower rooms are always well maintained/cleaned and love it's hot water and heating system in the room esp during winter period. It's spacious , well equipped communal kitchen is very impressive! Staff was hostile to bunk room guest. Car park space insufficient. Staff was not knowledgeable about the cradle mountain area or its shuttle service. Staff recommend people using an old pay phone. Lack of amenities provided to bunk room guest. Lack of space in bunkroom. A good choice of accommodation for those visiting Cradle Mountain. The villa was generally clean and the mobile reception was good despite being in the mountains. Kitchen facilities were adequate. The only con is that some taps used untreated water. Cabin was clean and beds were comfortable. Heating could be improved given it was snowing rather heavily so we 3 girls ended up squeezing in the master room as it was equipped with a mattress heater. Still had a comfortable sleep nevertheless. (: staff were extremely helpful and friendly when we ran into some trouble with our rental car and helped to be the mode of communication as there were no signals on our phones up in the mountains. Thank you!! Good place to stay. Cabin was clean and comfortable. Bedroom cabin was comfortable with full kitchen facilities at the kitchen cabin.